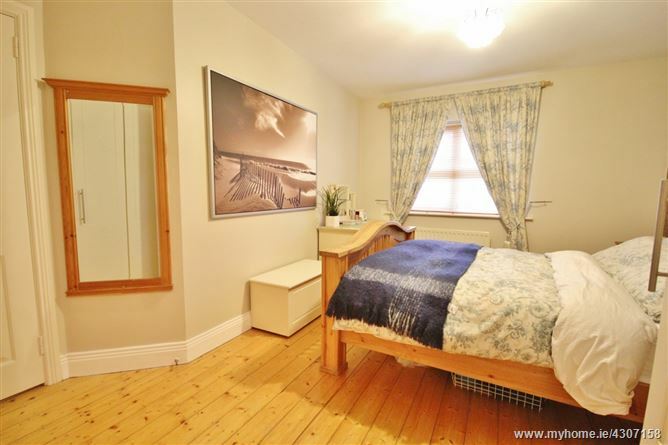 23 St. John’s Avenue is a three bed terraced home with a difference. 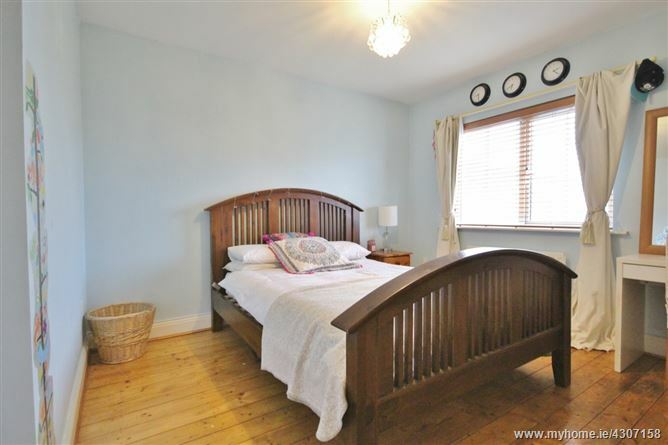 It has been lovingly cared for by its owner and upgraded over the years. 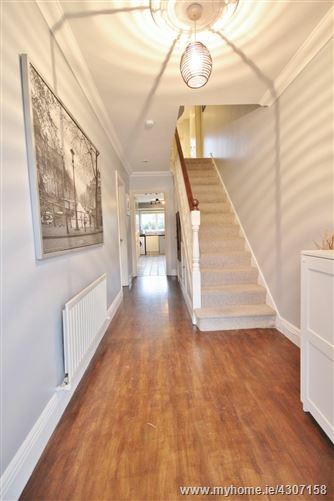 Internally the décor is very pleasing with grey/blue tones throughout and dark wood floor in the hallway, dining room and living room. 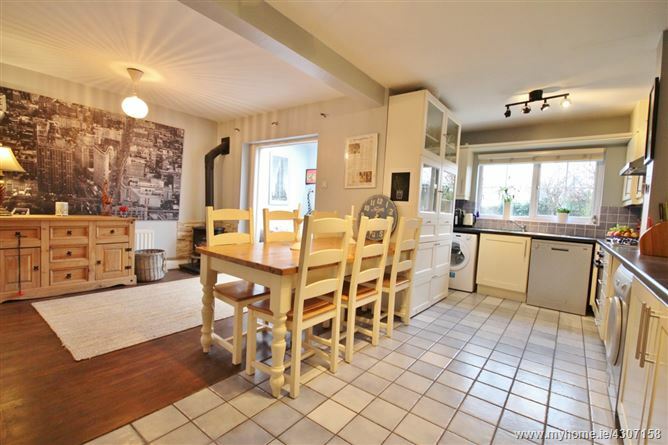 The kitchen/ dining room is a very sociable space being L shaped with sunroom off. The sunroom has had the roof improved with the addition of a glass lean to roof. 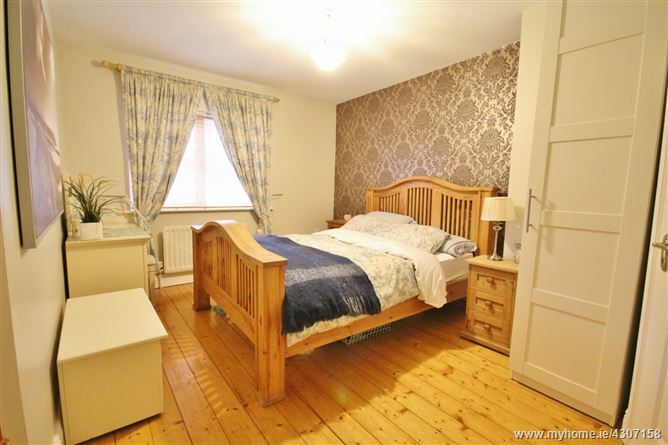 The bedrooms upstairs are surprisingly spacious with the master being en-suite. 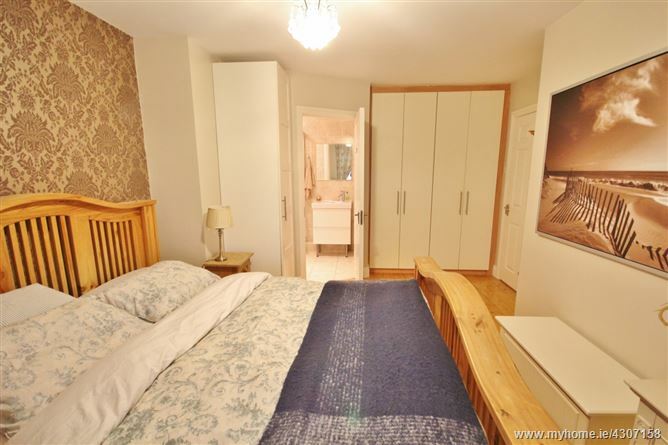 The striking feature of this house though has to be the addition of the attic being opened up to provide further space for the discerning purchaser. The parking is communal to the front and the house is not overlooked from the front or the back. 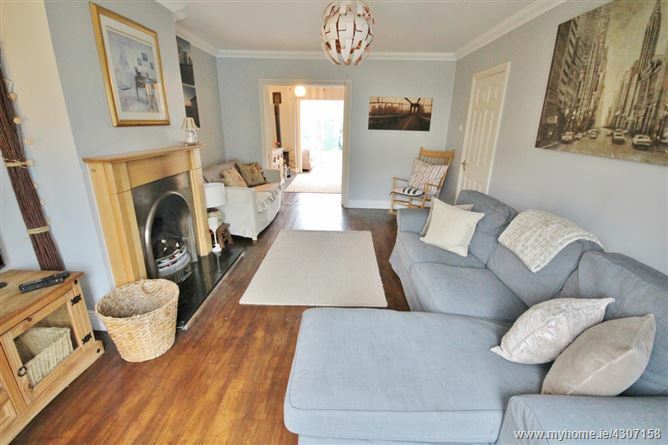 This is a beautiful home which can only be fully appreciated upon inspection. 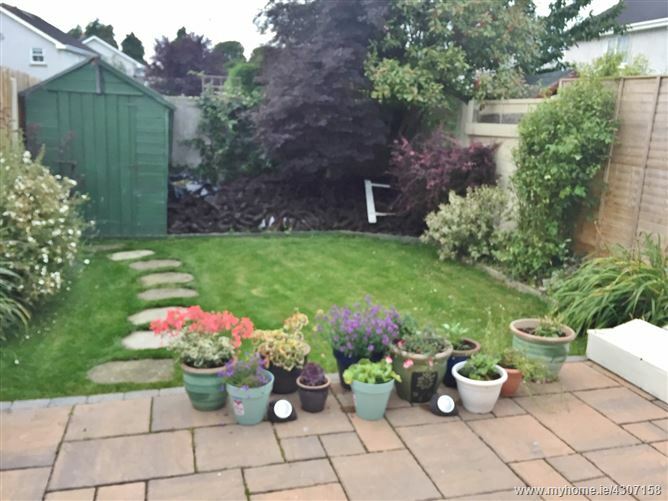 St. John’s Grove is a development of two storey houses and bungalows tucked away just outside the picturesque village of Johnstown, which sits just off the N7 on the edge of both Naas and the greater Dublin area. 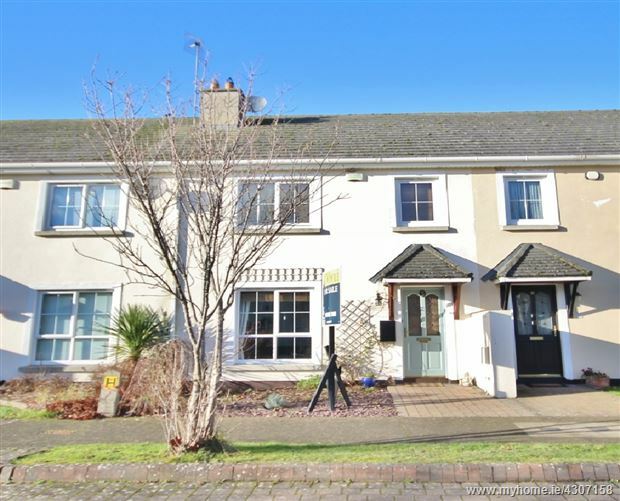 Naas is a vibrant bustling town while Johnstown is its quiet settled neighbour. 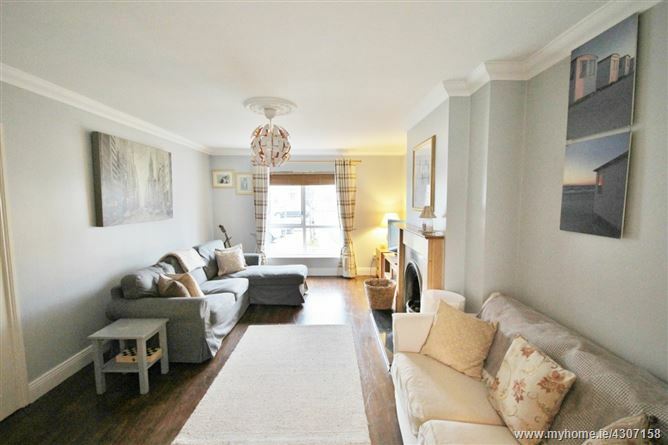 It has the best of both worlds with schools, shops, many eateries and bars, leisure facilities such as golf and horse riding all on its doorstep. St. John’s Grove also has the benefit of A Childcare facility and a family medical centre within its grounds. For the commuter, a regular bus service serves Johnstown and the arrow rail station is a short drive away at Sallins. Naas: c. 4kms. Dublin City Centre: c. 30kms. 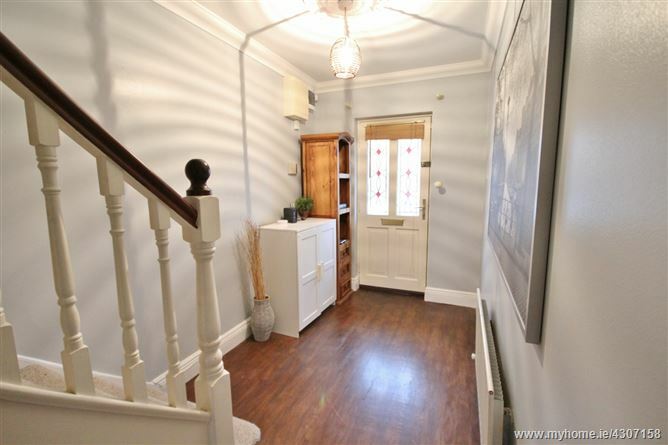 Entrance Hall: 5.58m x 1.87m. 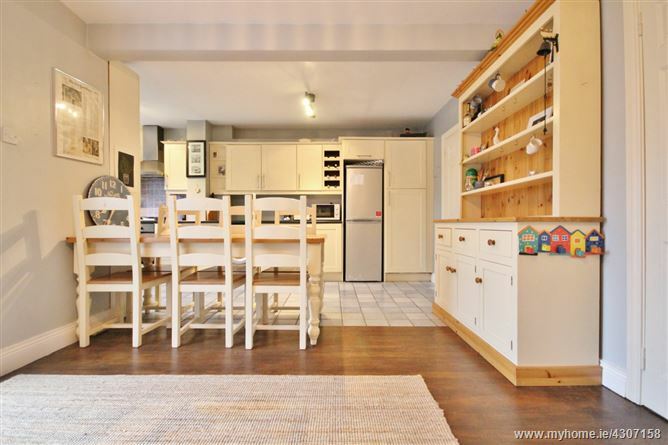 With wooden floor, guest w.c. and understairs storage. 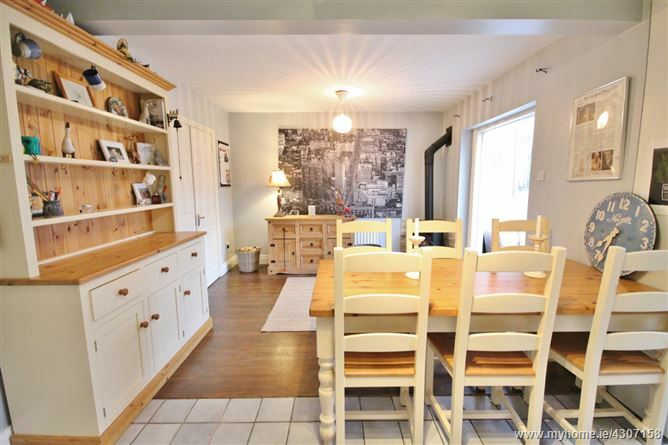 Kitchen/ Dining Room: 5.78m x 5.64 (max)m. L-Shaped with wooden floor and solid fuel cast iron stove in dining area, and cream shaker kitchen units, oven & gas hob, tiled floor and splashback in kitchen. 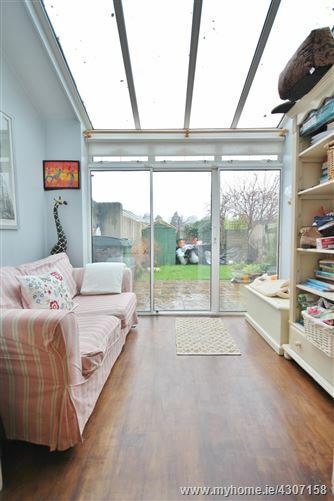 Sunroom: 2.92m x 2.15m. 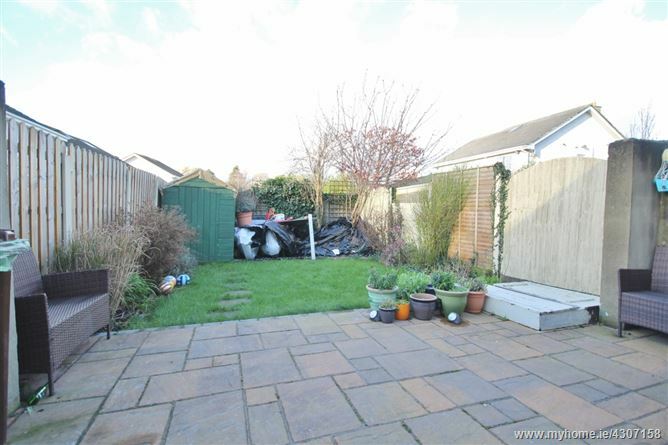 With wooden floor and sliding patio doors to garden. 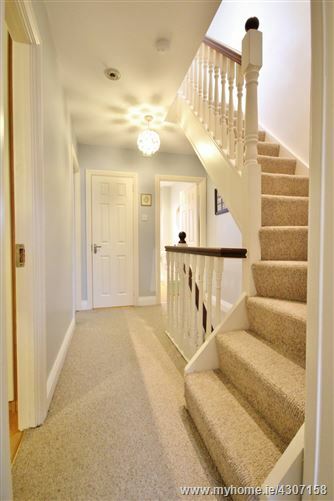 Upstairs: Landing with hotpress and stairs to attic room. Bathroom: 2.42m x 2.01m. 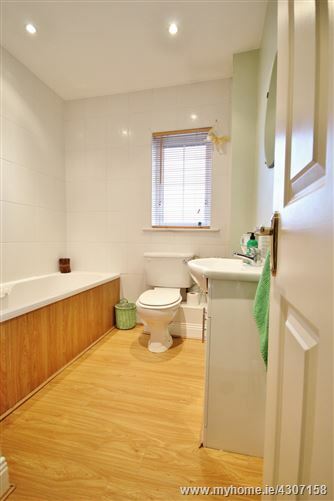 With bath with electric shower, w.c., w.h.b., wooden floor and part tiled walls. Bedroom 1: 3.66m x 3.42m. 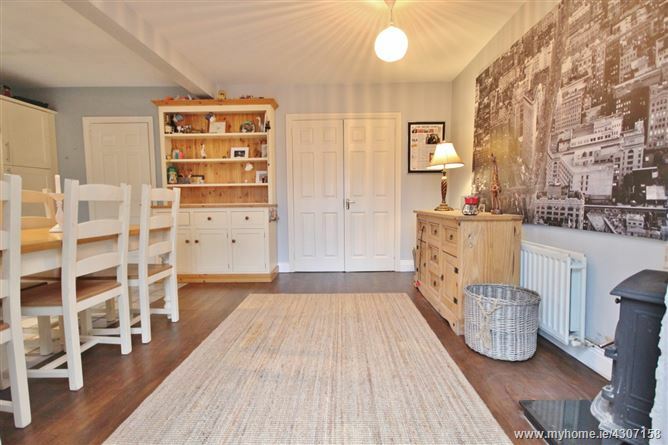 With fitted wardrobe and wooden floor. Bedroom 2 (Master): 4.36m x 3.17m. 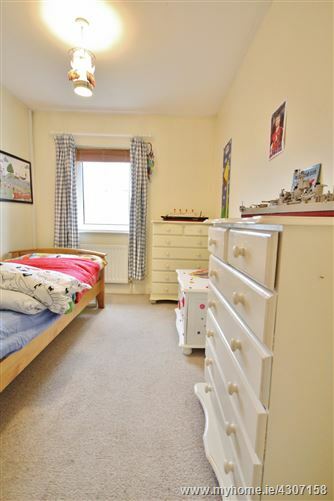 With fitted wardrobe, wooden floor and en-suite. 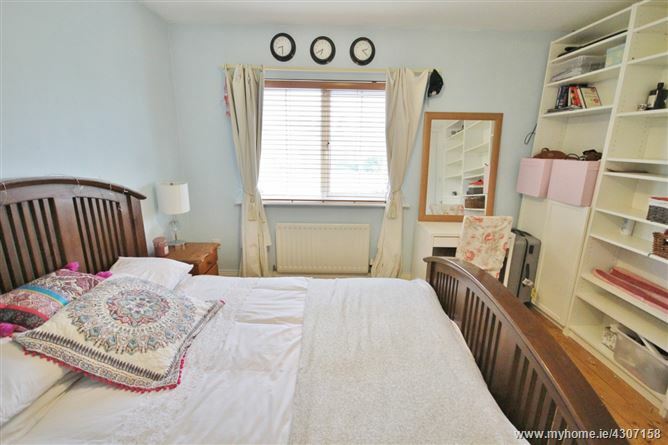 En-Suite: 1.81m x 1.71m. 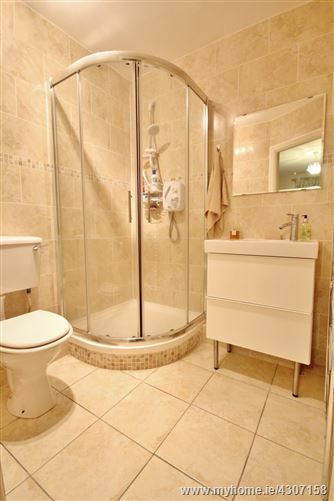 Fully tiled with large shower cubicle with electric shower, w.c. and w.h.b. with vanity unit. Bedroom 3: 3.27m x 2.47m. With fitted wardrobe. 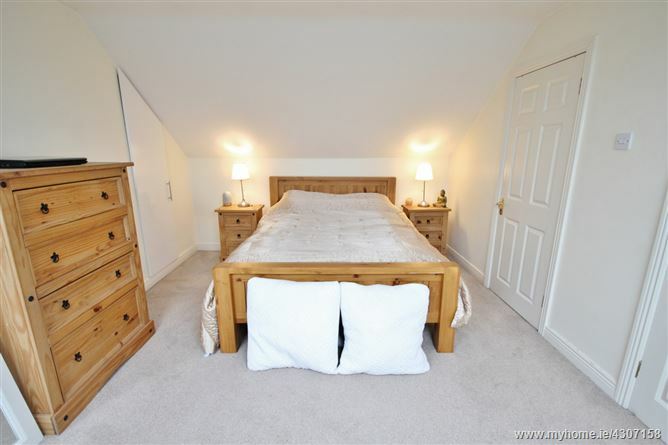 Attic Room: 4.84m x 3.48m. With velux windows, 2 walk in wardrobes and en-suite. 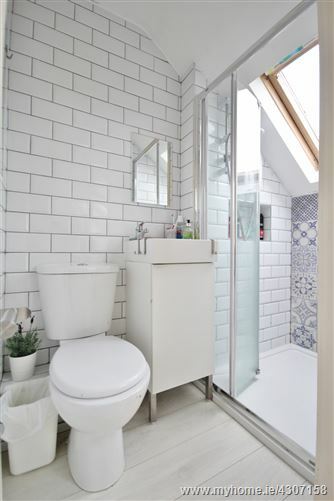 Shower Room: 2.11 (max)m x 1.04m. Fully tiled with shower, w.c., w.h.b. with vanity unit and velux window.